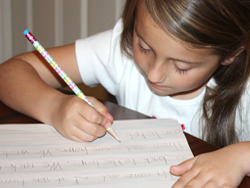 Many children do not have sufficient hand skills to support efficient handwriting. 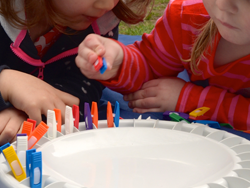 Young children are often encouraged to use pencils and markers before they are developmentally ready. Early writing practice often results in poor pencil grasp, poor legibility, bad habits that are hard to break, and an avoidance of writing later in school. 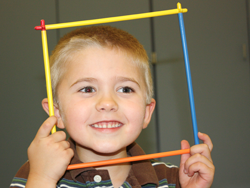 Preschool-age children need to focus on developing crucial foundational skills to ensure academic success. The foundational “Building Blocks” that are crucial for handwriting readiness. 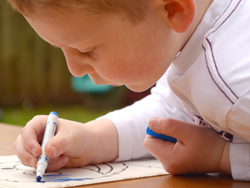 Developmental grasp patterns and how to choose the correct coloring/writing tool for your child. 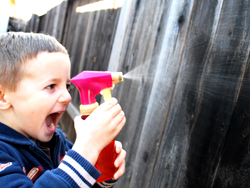 How to better prepare young children for success with handwriting and in school. 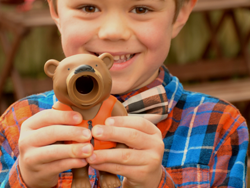 The best toys to purchase and how to create great fine motor toys out of recycled/cheap materials. Developmental “red flags” of which parents and teachers should be aware. 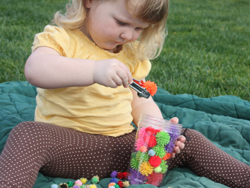 How to easily fit a variety of fine motor activities into your daily life.